Looking for the latest news on the Marin real estate market? You’ve come to the right place. The March numbers are in and compared to a year ago at the same time, overall inventories (number of homes on the Marin real estate market) are about 39% higher while the median price of homes sold last month was down 2.6%. So what is driving the market right now? I believe inventories are up because sellers realize the last market peak is likely behind us and are wanting to get their homes on the market in the event we see a longer-term softening in demand. Buyers are also coming out of the woodwork as we see the lowest mortgage rates in a year. What’s All This Talk About IPO’s? Last month I mentioned a New York Times article that breathlessly predicted that San Francisco would “drown in millionaires” from the Initial Public Stock Offerings of local companies like Uber, Lyft, Airbnb and even Levi Strauss & Co. This article and others like it have become the talk of the town, and the IPO’s have become part of the public consciousness. Before last month, I had not heard the term “IPO” in months. Now I hear it almost daily. I do think we may see an impact on the real estate markets in SF and the South Bay, where like Marin County we see inventories up versus prior years and pricing beginning to soften. And what happens in SF impacts Marin, especially southern Marin. This combined with declining interest rates could add some fuel to the market and make the breather we have seen over the last 5 months be just that — a breather until the Marin real estate market resumes its multi-decade march upwards. I do know it has impacted buyer sentiment – with some buyers saying they are “racing” to find a property not only to get the kids settled in school before next fall, but also to make sure they are not competing with these future IPO millionaires. Time will tell us if this is hype or just “two hours of thunder and two drops of rain” as my momma used to say. These monthly Marin County real estate market reports are a great place to start as you learn more about the market. Let’s continue the conversation — I am always happy to discuss the market, and the best way to approach it whether you are a buyer or a seller. To those who read this report, thank you for all your support of my business. I couldn’t do it without you. Call or text me at 415-847-5584 anytime. Let’s talk real estate! For sale prices increased by 2.8% versus last month and decreased by 12.5% versus the same month a year ago. Average sold prices increased by 2.6% vs. last month and decreased by 4.2% vs. the same month a year ago. The median sold price increased by 2.6% versus last month and decreased by 2.6% vs. last year. The average price per square foot sold increased by 6.8% vs. last month and decreased by 5.1% compared to the same month last year. Number of homes for sale increased by 30.3% vs. last month and increased by 39.1% vs. the same month last year. Number of homes sold increased by 23.7% vs. last month and decreased by 3.6% versus the same month last year. Months of inventory increased by 4.2% vs. last month and increased by 40% versus the same month last year. The average days on market decreased by 24.2% vs. last month and increased by 47.1% vs. last year. SELLERS: The sellers’ market of years past is quickly fading away, being replaced by a market that is much more balanced. Buyers are well-educated and the majority in Marin County are working with very experienced and savvy agents who know values and comparative sales (“comps”). Overpricing in a flattening to declining market can be a fatal mistake, causing your property to become stale and languish on the market. Now, more than ever, an experienced agent armed with the latest market facts and trends is critical. REMEMBER THE THREE P’S: PRICE, PRESENTATION, AND PRICE. BUYERS: For home buyers, the market is improving as more inventory comes online. However, an increasing percentage of homes never appear on MLS as they are sold “off-market” as pocket listings or top agent referrals. Work with a well-connected agent and be prepared to move quickly. Chances are you are looking for the same things most other buyers are also seeking (see my list below.) Set up property alerts on my website so you can immediately see new homes on the market, and make sure you are pre-qualified so you present a compelling offer. (You may wish to read my article Buying a Home in Marin County for more tips and advice.) One other tip: Ask your agent to run aged inventory reports in and above your price range. Sometimes there are some real gems that the market has overlooked due to pricing or other factors. Sellers may not have caught up with the changing dynamics of the market now — and it may take more negotiation than in the past to strike a deal. 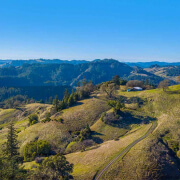 Complete Marin County Spring Home To-Do List | Marin Life Marin Pocket Listings – What Are They?